WASHINGTON, Jan 2 2013 (IPS) - The U.S. Food and Drug Administration (FDA), the sector’s primary regulator, has given accelerated approval to a controversial new drug for use by patients suffering from forms of tuberculosis that have proven resistant to other medicines. While the drug, known as bedaquiline and to be sold under the brand Sirturo, has been lauded by many for offering a new approach to treating tuberculosis resistant to the other two main medicines in use, some are warning that the expedited approvals process circumvented the FDA’s own rules and glosses over significant health risks. According to the FDA’s own findings, these dangers could include a nearly five times greater risk of death. The results have led to disagreement over how to balance significant and immediate unmet need for new solutions with the possibility that the new drug is outright dangerous. “I don’t have any problem with looking for more drugs to treat a disease that is a terrible problem in many countries, but it has to be done very carefully and cautiously,” Dr. Sidney Wolfe, the director of the Health Research Group at Public Citizen, a consumer advocacy watchdog here, told IPS. 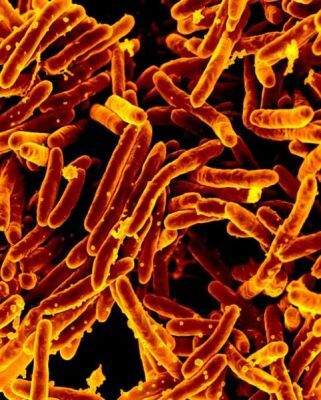 Bedaquiline, developed and manufactured by an arm of the U.S. pharmaceuticals giant Johnson & Johnson, is being heralded for its ability to shut down the production of an enzyme that the tuberculosis bacteria need in order to reproduce. It is seen as the first in a new line of such drugs. The FDA’s conditional approval marks the first time in nearly five decades that the agency has authorised a medicine that attacks tuberculosis in a different way. While the FDA generally requires a lengthy three-stage testing process before any approval, bedaquiline was given an initial green light after just two periods of study; indeed, the second phase is still ongoing, according to the agency. The FDA has rationalised this stepped-up timetable by pointing to the significant unmet need for such a new approach, while Johnson & Johnson has promised to go forward with a larger, third round of testing in the future. According to Medecins Sans Frontieres (MSF), the medical aid group, the scale of the multiple-drug-resistant tuberculosis epidemic is “huge” and growing, with 310,000 new cases in 2011 and just 19 percent of the estimated total caseload receiving treatment. On Monday, the group called bedaquiline a “major milestone” compared to current treatments, which typically require two-year regimens of drugs with heavy side effects, and which ultimately cure only about half of patients. Funding for Neglected Diseases “Heavily Reliant” on U.S.
Will There Finally Be a Cure for Diseases that Affect the Poor? “There is a massive need for improved treatment, so something coming down the pipeline that appears to be significantly better than the standard background therapy is extremely exciting,” Dr. Jennifer Cohn, an infectious disease specialist with MSF, told IPS. Yet some critics suggest that the results of the second phase of testing were so surprising and so stark that they should have precluded the possibility of an expedited approval – or even halted the testing process outright on ethical grounds. In randomised testing during the second phase of trials, nine patients taking the drug died, versus two that were assigned to a placebo group. Unfortunately, the testing was so small-scale (involving just 160 people) that it was unable to offer analysis on whether bedaquiline was directly implicated in this higher level of mortality, with the FDA noting simply that “association could not be explained”. In mid-December, Public Citizen’s Wolfe co-signed a letter to the FDA suggesting that the evidence was strong that the drug could indeed have contributed to at least some of the deaths. He says that if those mortality levels are even partly connected to the drug, moving to a third phase of testing could be immoral. For five deaths attributed to alcohol poisoning, hepatitis, septic shock and other causes, “bedaquiline cannot be ruled out as a potential contributing cause based on the available data, especially given the paucity of human clinical data with this new experimental drug,” the letter states. It also suggests that the expedited approval process contradicted the FDA’s own rules. “It is not possible to conclude that a surrogate endpoint (a marker of potential efficacy) is ‘reasonably likely’ to predict benefit for patients – as required by FDA regulations – when the same clinical trial of a drug using that surrogate endpoint shows a significant increase in mortality,” the letter states. While the causes of death during the second phase of testing may be officially unexplained, the results clearly gave the FDA pause. “Because the drug … carries some significant risks, doctors should make sure they use it appropriately and only in patients who don’t have other treatment options,” Edward Cox, a director in the agency’s Center for Drug Evaluation and Research, said in a statement this week. 2012 was a banner year for the FDA’s drugs division, which approved a near-record 35 new medicines. Yet several of these have received criticism, underscoring mounting worries that the FDA’s regulatory strengths have been diminished in recent decades. Starting in the early 1990s, the U.S. Congress began to turn over a massive amount of funding responsibility for the FDA to the drugs industry itself. According to Public Citizen’s Wolfe, today the industry bankrolls around two-thirds of the FDA’s related analysis – a “huge change in culture at the FDA”. Simultaneously, Congress has continued to roll back its own oversight over the FDA’s functions. For some, the results have been an agency that remains respected worldwide but which is relatively more beholden to the industry it regulates.